New Dynamics AX technology is creating challenges and opportunities for ISVs and partners. Solution providers are now asked to bake their experience and expertise into the product by adding process guides, methodology, sample data, and help in addition to AX customizations. The goal of this thorough product offering is to reduce the time to deploy Dynamics AX. Many times companies have to make tradeoffs between having a system with a breadth of features and having a system that is well suited to their industry. Developing an ERP with a huge feature set requires an investment that only a few large players can make. However, understanding the nuances of each industry requires real-world implementation experience and feedback from end users. 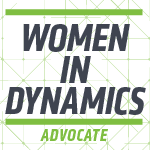 The new Dynamics AX has technical capabilities that can bridge these two models. Customers can have the breadth of features they want in a single system, while also adding solutions that provide the must-have features to successfully run their business. Microsoft has provided new capabilities via Lifecycle Services (LCS) that allow implementers to fulfill this vision through a variety of tools discussed below. The Azure Marketplace serves two purposes. It is a lead generator where prospects can see what solutions are available on Dynamics AX and contact the vendor. Perhaps more importantly, the marketplace is proof that solution creators bring a comprehensive package to the table. Methodology – The steps a customer will go through to get the solution live. Business Process Library – Prerecorded task guides that allow new users to quickly learn the functionality and best practices. Models and Software package – Customizations that create a more robust experience in Dynamics AX. Data Packages – Base configurations and data migrations to get users hands on with their data. Demo Data – Demo environment to research the capabilities of the solution. Environments – Deploy complex Dynamics AX environments in one day. In the past delivering a product was focused primarily on customizing Dynamics AX. Now the capability exists to deliver more than just customizations; LCS can jump-start the implementation process as well. New technical capabilities come with the new Dynamics AX, and it is important to leverage these capabilities when building a solution. There is now a significant amount of development that can be done “off to the side” in Dynamics AX through extension technology. This approach to development becomes critically important when considering code upgrades or hotfixes. When done right, updating AX and updating the industry solution have less dependencies on each other; reducing on-going maintenance costs of Dynamics AX. Whether working on data migrations, integrations, or configurations, the new data management framework centralizes these tasks under an umbrella call Data Entities. Having the right entities built into the solution accelerates getting information into Dynamics AX. Workspaces surface information about key tasks so users can jump into their activities in Dynamics AX. Workspaces are front and center in Dynamics AX, and it is important to combine industry knowledge into dashboards that surface the pertinent details. Business intelligence is a first class citizen in Dynamics AX. Data can be aggregated and consumed nearly real-time, giving users more confidence in the results. Aggregated data can also be consumed directly within Dynamics AX or via PowerBI reporting dashboards. The approval bar is intentionally set high for the Azure Marketplace, and therefore there are some behind the scenes requirements that need to happen. Testing is obvious when creating customizations, but it gets more complex when creating a solution. In addition to unit testing the development, there’s also a need for automated testing and performance testing of high volume and high use features. There are also a lot more deployment tests than before. Deploying environments with default data, demo data, and compiled code are all areas that need to be validated. There are specific assets required to publish to the Azure Marketplace, including metadata, marketing text, and logos. Not only do all these assets need to be delivered, they need to be completed simultaneously for them to be approved and published on the Azure Marketplace. This adds an extra level of coordination in the Product management lifecycle. Solutions now need to be approved by Microsoft. The approval has a number of components including best practices checks (CAR report), a video walkthrough, and publishing all the updated assets. Looking for more information? I am presenting more on these topics on a webinar on March 30, 2016.